CTOs are under pressure to lead their area towards new levels of excellence - amidst budget constraints, structural change and a tightening regulatory environment. Hence, it is imperative to make the most of the skills and talents of existing IT staff, and to do so swiftly and decisively. 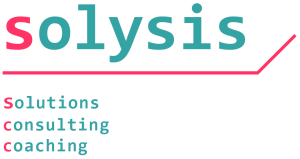 Solysis delivers training and consultancy programmes that tease out the full potential of both your IT managers and your technical specialists. We help you achieve the IT results your organisation demands. productivity often pay for themselves within days. and passions that are already there. Imagine how much more your IT department could deliver with an extra 30% or 50% headcount. Chances are that you can achieve the same effect by making the most of the IT staff you already have. Training and consultancy are tailored to you and your organisation's circumstances. We are ruthlessly pragmatic (thus commanding the respect of even the most hardened techie) and take a holistic approach: As needed, we work on technical, structural, process, emotional, and relationship levels and are able to bridge the cultural divide between technical and nontechnical people. This allows us to get results swiftly and sustainably. Programmes can range from short one-off events to long-term engagements with a mix of group workshops, one-to-one sessions and technical and process consultancy. In special circumstances we can also be engaged to provide interim management for teams or projects and/or to drive a solutions architecture.